If you’ve lost a loved one to an accident, you may be facing immense grief and many questions. The sudden death of a person you love can be both shocking and traumatic. It can be difficult to know where to turn during this challenging time. The Law Office of Brian K. Branch are wrongful death attorneys in Albuquerque, New Mexico who work closely with families to help them seek justice when a family member dies due to the negligence or neglect of another person or party. The costs you may be facing for medical expenses and funeral costs can be immense. Few families plan ahead for the sudden death of a loved one and these expenses can place a heavy burden on surviving family members. To make matters more complicated, some families struggle when they lose the primary breadwinner of their household. If you are wondering whether you can file a wrongful death lawsuit, you should contact the wrongful death lawyers at the Law Office of Brian K. Branch in Albuquerque, New Mexico. Our firm offers compassionate counsel and caring guidance for families who have lost a loved one due to the negligence of another person, party, or company. Can I File a Wrongful Death Lawsuit in Albuquerque, New Mexico? New Mexico law dictates who can file a wrongful death lawsuit on behalf of a loved one in the state. Generally, family members considered “personal representatives” can file wrongful death lawsuits. If your loved one has an estate plan and names a personal representative on this plan, then this person will generally be the one to file a wrongful death claim. However, not all deceased individuals have a will or estate plan. If this is the case, a spouse, sibling, or child of the deceased could serve as an individual’s personal representative. If there are no siblings, spouses, or children who can file the wrongful death lawsuit, the court may appoint a personal representative. Families with individuals who have died due to the actions or negligence of another person or party, should act quickly when filing a wrongful death claim. You and your loved ones may only have a limited amount of time under New Mexico’s statute of limitations laws to make a claim. In general, families have up to three years to make a claim. If you have questions about a claim, contact the Law Office of Brian K. Branch, wrongful death attorneys in Albuquerque, New Mexico. 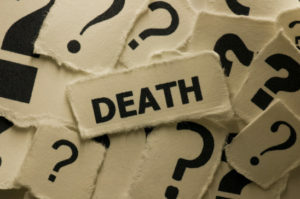 Do I Have a Wrongful Death Case in Albuquerque, New Mexico? Negligence: Negligence occurs when one party owes a duty to another party and fails to take proper care in following through on that duty. For instance, if you hire a doctor to provide your loved one with medical care and your doctor fails to properly diagnose you for a disease or makes an error during a surgery that results in your loved one’s death, your doctor could be sued for negligence. Another case where negligence can lead to wrongful death is in a nursing home. Families may put a loved one in the care of a nursing home, only to learn later that the neglect of the staff led to medication errors, or a loved one’s passing. Wrongful Actions: Wrongful actions can involve criminal intent, like an assault, or they can involve the use of a car that leads to another person’s death. For instance, a person could be sued for wrongful death if they drink and drive and this action results in the death of another person. If your loved one has died due to the neglect of another person or party, it may be wise to speak to the wrongful death lawyer Albuquerque at the Law Office of Brian K. Branch in Albuquerque, New Mexico. Our firm can review the facts of your case, identify negligent parties, and fight to help you seek justice on behalf of your loved one. What Damages Can I Collect in a Wrongful Death Claim? The value of your wrongful death claim will depend on many factors. Your relationship to the person who has passed away, your age, and your ability to support yourself without the deceased person will all play a role. You may be able to collect damages to cover burial and funeral expenses, medical expenses incurred before your loved one passed away, and financial contributions the deceased provided to your household before passing away (lost wages). You may also be able to collect additional damages for your pain and suffering resulting from the sudden loss of your loved one. Depending on your case, you may be able to seek damages for loss of companionship, mental anguish from the loss, and even damages for pain and suffering your loved one endured before passing away. Because some of these claims involve making a sometimes-subjective case before a judge or jury, it may be wise to speak to the qualified wrongful death attorneys at the Law Office of Brian K. Branch in Albuquerque, New Mexico. Our firm of skilled lawyers can review your loved one’s medical expenses, funeral expenses, and estimate pain and suffering based on the injuries your loved one sustained. Our firm will also take the time to understand your family. We will get to know you and your relationship to your loved one. Understanding this loss is important when making a case for additional recoveries you may be entitled to receive. If you have lost a loved one due to the neglect or negligence of another person or company, contact the Albuquerque, New Mexico wrongful death attorneys at the Law Office of Brian K. Branch today.